Production has begun on an HBO documentary about Sen. John Sidney McCain, III. 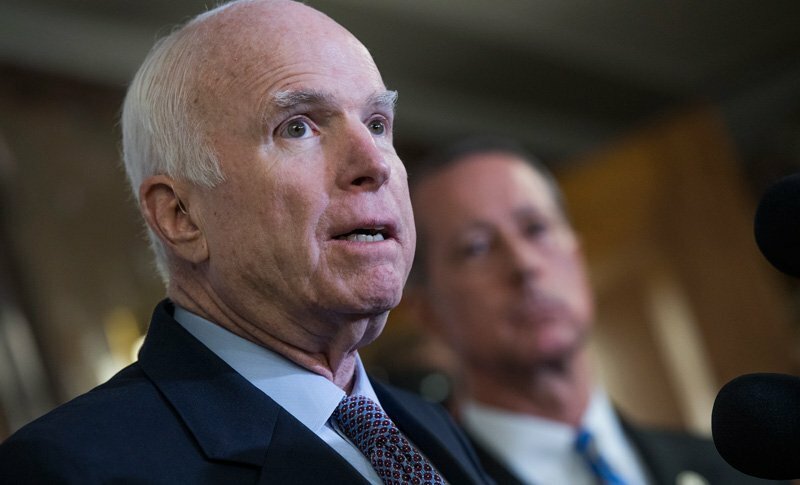 Produced and directed by six-time Emmy winner Peter Kunhardt (HBO’s Jim: The James Foley Story, King in the Wilderness), along with Emmy winners George Kunhardt and Teddy Kunhardt, the John McCain documentary is an illuminating, exclusive profile of one of the most influential forces in modern American politics. Serving 31 years, the six-term senior Arizona senator John McCain agreed to participate in the film shortly after being diagnosed with brain cancer, providing unprecedented access to his daily life in Washington, D.C. and Sedona, Ariz. The film also features interviews with family, friends, colleagues and leading political figures. This sweeping account combines John McCain’s own voice, culled from original interviews, commentary, and speeches, with archival newsreel and television footage and previously unseen home movies and photographs. What emerges is a portrait of an American maverick who has kept his eye on the most important American goals. John McCain’s recent battle with brain cancer underscores the fighting spirit and resilience of this remarkable man, who continues to crusade for the causes he believes in, despite advancing health issues and daunting odds. Kunhardt Films’ previous HBO credits include the recent King in the Wilderness, the Emmy winner Jim: The James Foley Story, the PGA nominee The Newspaperman: The Life and Times of Ben Bradlee, Becoming Warren Buffett, the Emmy nominee Nixon by Nixon: In His Own Words, the Emmy®nominee Gloria: In Her Own Words, and the Emmy winner Teddy: In His Own Words. The post Production Begins on John McCain Documentary appeared first on ComingSoon.net.